Canada's main contender when it comes to lidar is LeddarTech Inc. of Quebec City. Having built an impressive lead in artificial intelligence, Canada is keen to do the same in autonomous vehicles — specifically the lidar (laser radar) technology that lets the vehicles see where they're going. LeddarTech has plenty of well-financed rivals. 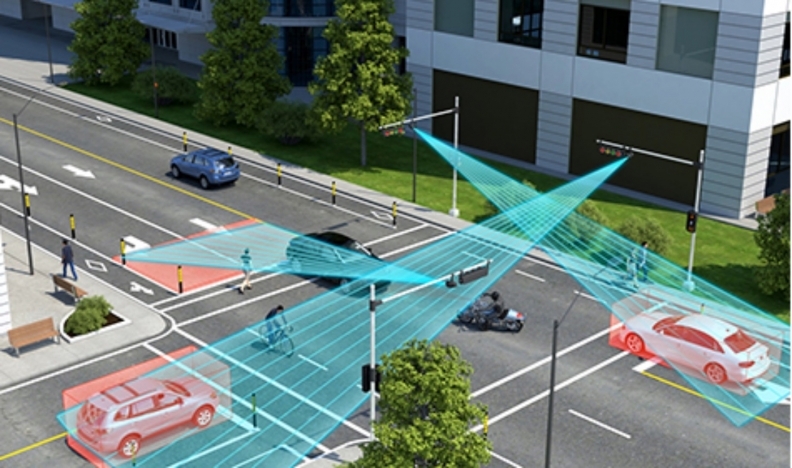 Among them: Velodyne Lidar Inc., which has the backing of Ford Motor Co. and China's Baidu Inc, and Alphabet Inc.'s Waymo, which is trying to develop its own lidar. "Competition exists simply because the opportunity is so great," says LeddarTech Chief Executive Officer Charles Boulanger. Those that survive will be rewarded with a "major pot of gold." Today's mechanical version of lidar is clunky (it has been compared with spinning buckets of fried chicken) and fastened to the roof of a vehicle. With its moving parts, the technology is vulnerable to wear, tear and vibration. It also lacks sufficient range and is too expensive — from a few thousand dollars to as much as $70,000 — to make mass production feasible. Lidar companies are now shifting to solid-state technology — no moving parts — which is less susceptible to mechanical failure and changing weather conditions. Velodyne, which helped pioneer mechanical lidar, introduced a solid-state version of its technology this summer. The costs are already starting to fall; Silicon Valley startup Quanergy Systems Inc. says it's manufacturing a product for about $250 and expects to bring that cost below $100 in three to four years. LeddarTech was spun out of the National Optics Institute, a government-funded research facility in Quebec City. Back in the 1980s, the dean of Laval University at the time persuaded the federal and provincial governments that optics and photonics were the future of tech. Not long after, a small research team began developing lidar in conjunction with a research agency at the Department of National Defence, which wanted technology that could detect biological warfare agents. About 10 years ago, LeddarTech researchers started working on solid-state lidar for autonomous cars — long before many of its competitors. While its technology still costs a few hundred dollars, the company says it produces images that are 25 times sharper than rival lidar, meaning a driverless car can more precisely maintain awareness of nearby pedestrians, vehicles and other objects. LeddarTech's only local competition is another Quebec-based startup called Phantom Intelligence, which secured an investment from Korean auto parts maker Sungwoo Hitech Co. Ltd. this summer.